NEW TOP GEAR: Clarkson, Hammond and May are gone but we have a stellar line-up of seven new presenters for all-new Top Gear. AFTER months of build-up, expectation and a fair dose of controversy, Top Gear returns this Monday on Foxtel's BBC Knowledge channel with a new line-up of presenters. Say what you want about Jeremy Clarkson, Richard Hammond and James May, but the dearly departed (from BBC) trio formed a much-loved and much-watched alliance to make Top Gear one of the most popular and viewed television shows in history with near unprecedented global reach. 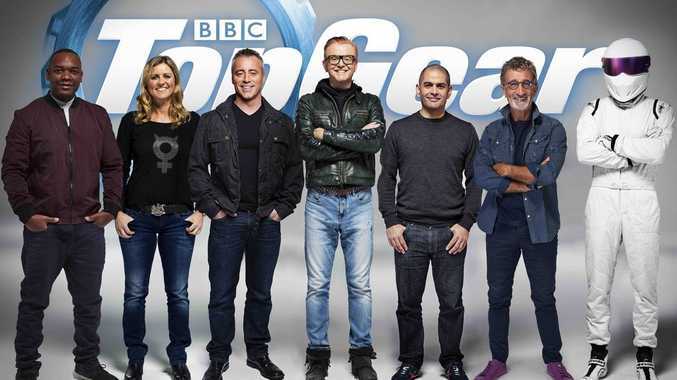 New Top Gear - Clarkson, Hammond and May are gone, so who are the hosts? Chris Evans: Top Gear's lead presenter has a long history of fronting successful British TV and radio shows with cheeky and sometimes controversial style. Huge Ferrari enthusiast who owns an incredible selection of Prancing Horse classics. Matt LeBlanc: Best known for his role as Joey Tribbianai on American sitcom, Friends. 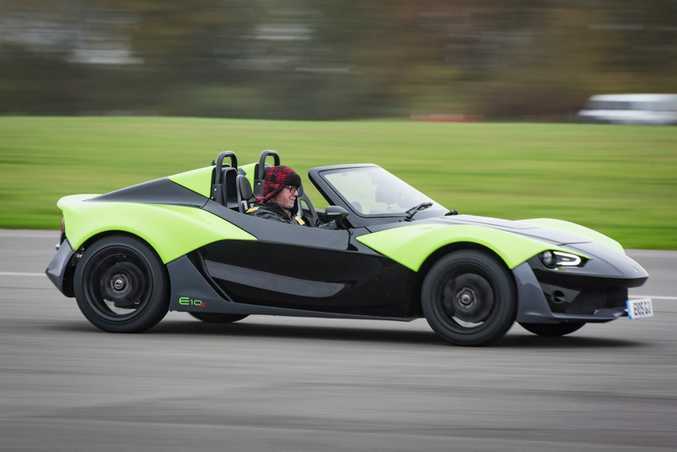 Holds the record for the fastest ever celebrity lap of the Top Gear track. Sabine Schmitz: German racing driver who won the Nurburgring 24 hours in 1996 and 1997. Appeared on old Top Gear numerous times and became a firm favourite with viewers. Chris Harris: Motoring journalist who fronts YouTube channel Chris Harris on Cars with over a quarter of a million subscribers. Has worked for Autocar magazine, Evo magazine and Pistonheads.com and is an accomplished racing driver. Rory Reid: Tech journalist who has presented for the likes of CNET UK, Fast Furious & Funny and Gadget Geeks, and produces car reviews as editor-in-chief of Recombu. Eddie Jordan: Founder of former F1 team Jordan Grand Prix, he was responsible for giving Michael Schumacher his first F1 drive. Also co-presented on BBC's Formula 1 coverage. The Stig: The fast one in the helmet. We know no more. EXPECTATIONS are mighty for the all-new Top Gear, but the above stellar line-up of presenters with impressive driving talent bodes well for the new series. Arguably the quickest of the lot is German racing driver Sabine Schmitz - a familiar face to long-term Top Gear viewers - and we caught up with the two-time Nurburgring 24 Hours winner for a chat about new Top Gear and her motoring life. Born: May 14, 1969, Adenau, Germany. Resume: Grew up in her parents' hotel beside Germany's Nurburgring race track and took up racing after enjoying taking the family car around the track. Was the first woman to win the Nurburgring 24 Hours (1996 and 1997) in a BMW M3, was driver of the "Ring Taxi" BMW M5 and appeared on German TV and Top Gear instructing Jeremy Clarkson. 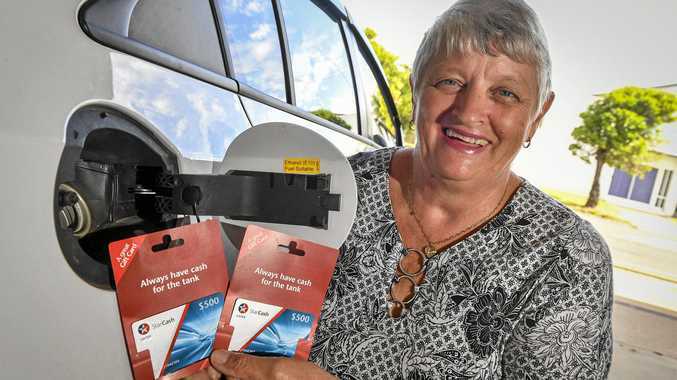 See her: As co-presenter on Top Gear, airing Monday May 30 at 8.30pm on Foxtel's BBC Knowledge. How did you hear you had the job as a Top Gear presenter? They rang me, we had a short chat, and for me it was crystal clear to say: "Yes, I'm in the team no problem!" I'd done live shows, DVD stuff and the TV programme before, so Top Gear is nothing new for me. What have you been doing for the new series? We've been to the Top Gun air base in Nevada, and I drove the new Audi R8 in California and made (co-presenter) Chris Evans sick. There must be something wrong with my driving style? We also had a nice trip to Venice: it's been exhausting with lots of work, but it's really funny stuff. Of all the presenters, are you the fastest driver on Top Gear? No, we have the Stig! He's bloody quick. He doesn't have to think, he's just driving. A 1980s VW Polo, which was was too slow for my tastes. About 55hp (41kW) and front wheel drive. It was a gift from my mum: I used to take her BMW around the Nurburgring so she bought it for me to save her car. 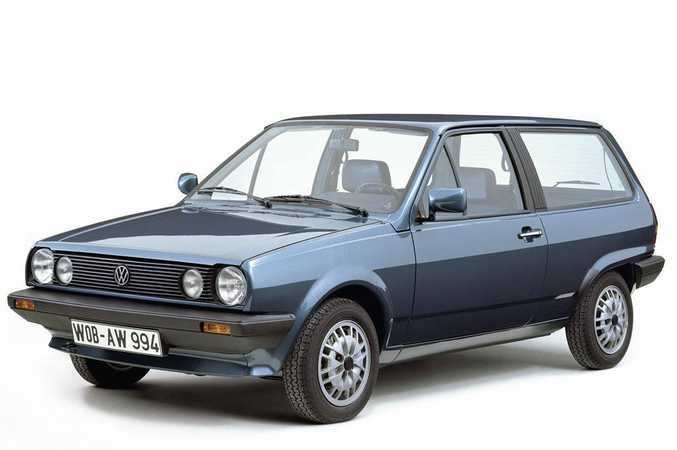 1980s Volkswagen Polo. Photo: Contributed. A Porsche 997 GT3 RS which is my taxi. My housewife Porsche! What's your favourite road in the world? The Nordschleife (Nurburgring) is my first choice, but I also lived for one year in South Africa and it's very nice to drive from Cape Town to Jo'burg. I went to California with Top Gear and Highway 1 is really dramatic with the big waves in the ocean. What's the best car you've driven? My boyfriend's Group C Porsche 962 which I drove at Silverstone. For racers to have driven that on the Nurburgring is really impressive. 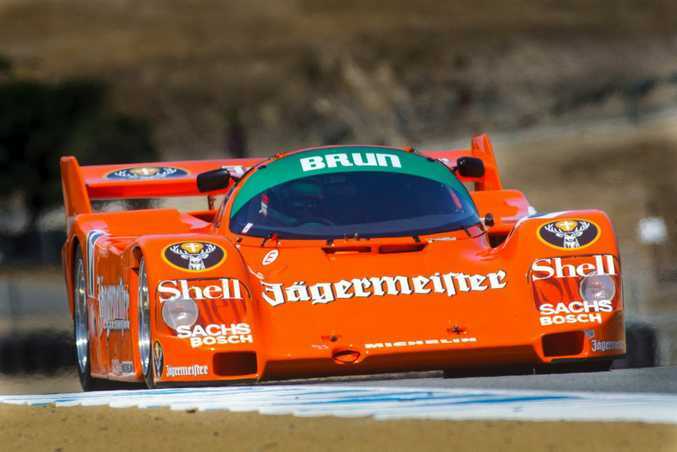 Porsche 962 Group C racer. Photo: Contributed. And the worst car you've driven? The Mercedes-Benz SLR McLaren 722 (2006). It had the hairiest set up I've ever driven in my life. I had to drive it for my TV show for a whole day and was so exhausted, but we all survived. 2006 Mercedes-Benz SLR McLaren 722. Photo: Contributed. What's your favourite road car? 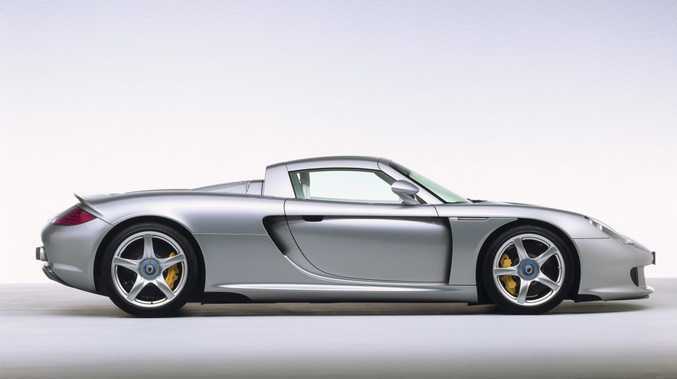 The Porsche Carrera GT (2004-07). It's more pure driving than modern cars; they do everything for you. The Carrera GT has not so much high tech s**t.
2003 Porsche Carrera GT. Photo: Contributed. What's the fastest you've ever gone in a car? In a Bugatti Veyron, at nearly 400kmh. Yes, sure! When you have technical problems, that's mostly when I've crashed. Not many times has it been my fault. I had a big crash in South Africa and broke my leg, and I rolled a car on the Karrusell at the Nordschleife because of a puncture. I told the pit I can't come and change tyres because I'm on my roof! Any run-ins with the law? Not in Germany, but in Australia I had a little disaster. I was in Perth and was driving to The Pinnacles. I had a rental car flat out all the time, and the police were behind me for about 25 miles but they didn't catch me, and the guy was very upset. He was not very amused about my driving style. I gave him my autograph card, but he said: "Very funny but I still want 500 bucks." BUGATTI VEYRON: Sabine's seen the happy side of 400kmh (!) in one. Brave girl. Who'd be your ideal road trip companion? George Clooney. A cup of coffee with George would be wonderful. What's on Episode 1 of the all-new Top Gear? Matt LeBlanc in new Top Gear trailer: Doing donuts in a 820bhp Aston Vulcan and The Stig is back. 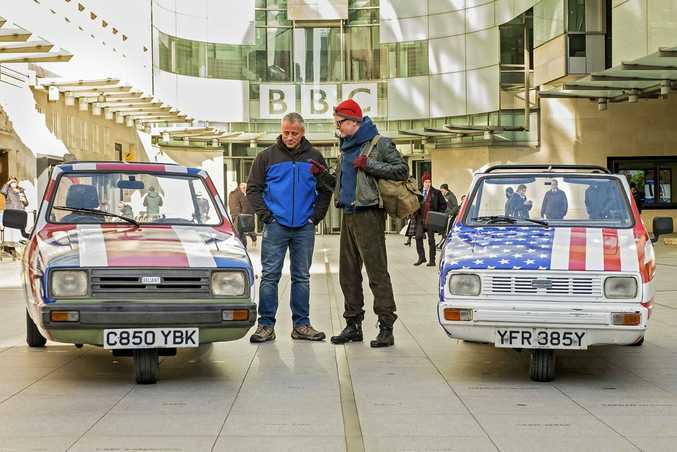 The pressure's on to win over the Top Gear faithful and new viewers. The new series kicks off with a Dodge Viper ACR battling a Chevrolet Corvette Z06 in Nevada; an Ariel Nomad off-roader in Morocco; Reliant three-wheelers in a soggy England, plus celebrity guests Jesse Eisenberg and Gordon Ramsay.